To listen to this episode, push play in the audio player below. You can also subscribe to The Water Jar via iTunes or Stitcher and listen from your smartphone. We are reading and discussing chapters 11-15, pages 50-69 on this episode. Find more information on The Well’s 2019 Lenten book study here. Note: Even if you aren’t reading the book with us, please know there are plenty of nuggets that stand on their own and applicable to all. And if you are reading the book but doing so at a different pace, these Lenten episodes will not expire and will remain available on our podcast feed when you are ready to listen or re-listen. Wherever you are in your journey, please come, join, and follow along. The gals talked about praying the Litany of Humility as a tool to help achieving peace. Given many of us enjoy praying with music, here’s the Litany of Humility set to song by Danielle Rose. 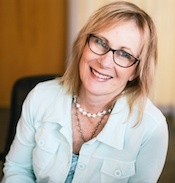 Julie Nelson is a self described ambient introvert and Catholic “passionista.” Loving God’s sense of humor, Julie is a former nurse who now is Co-Host of Catholic Women Now weekly radio program. Speaking at the 2017 summer Well gathering, Julie is now building a speaking ministry. Her happy place is being surrounded with her family, especially by a beach or a lake. Julie lives out her childhood dream of being a fashion designer in her sewing room while binging on Fashion Runway. Julie is a member of Sacred Heart in West Des Moines, Iowa. Bonnie Shaw is wife to Chris, mother of four perpetually hungry offspring, and in continual anticipation of summer and hot weather. An educator by degree and lifelong learner by habit, she consumes stacks of books, inhabiting both her imagination and contemplation as she seeks connection with truth, ideas, and the laughter of friends traveling the same road. In relentless pursuit of more perfectly trusting in the Lord’s divine mercy, she is so very thankful for His grace and the peace and shelter of His presence as well as the example of others who love Him. Rebecca Bahl is a wife and mother of three. Her family lives in Urbandale, Iowa and attends St. Francis of Assisi parish. She works part-time for her parish as a Nursery Coordinator but spends a majority of her time being a jack of all trades and a master of none including CGS catechist, ministry volunteer, Burn boot camp survivor, and one of the last traditional scrapbook holdouts. She loves to read, travel, and soak up God’s good graces. Christine Hilbert, a mixed media painter and jewelry designer based in Winterset, Iowa. She combines vintage treasures of all kinds to create artwork and jewelry that echoes the past. Christine earned a Bachelor of Fine Arts from Iowa State University and studied painting at the Savannah College of Art & Design. She was the Artist in Residence for Ballet Des Moines Winter 2016 season and also designs for her accessory line, Bean & the Sprout. Christine is married to Jeremy and together they have two energetic boys and one adorable girl. 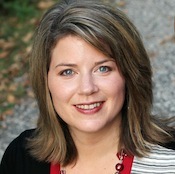 Lisa Schmidt has a heart for building community. 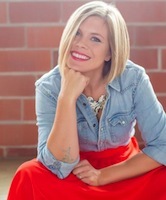 With a Bachelor of Family Services and Master of Public Administration, her career has been devoted to improving the quality of life for others. 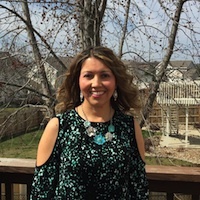 Currently on hiatus from the professional workforce to care for the needs of her family, Lisa has become steadily immersed in freelance work through writing, speaking, and founding The Well women’s ministry. 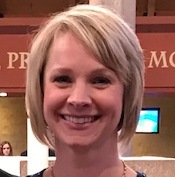 Along with her husband Deacon Joel and their four children, the Schmidts are parishioners at St. Pius X in Urbandale, Iowa. This entry was posted in Podcast and tagged Becca Bahl, Bonnie Shaw, Book Study, Christine Hilbert, Julie Nelson, Lent, Lisa Schmidt, Podcast, Searching for and Maintaining Peace, The Water Jar. Bookmark the permalink.